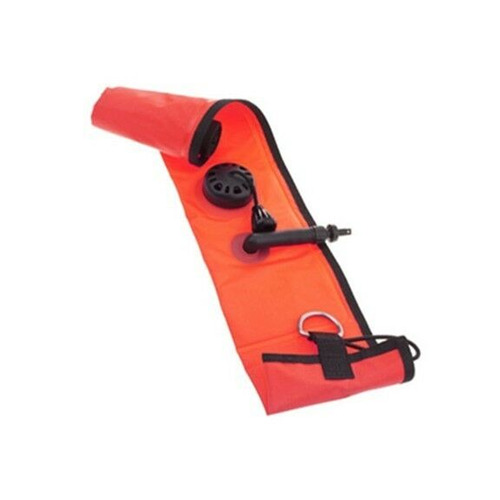 The Hollis Marker Buoy Closed Cell is ideal compact Surface Marker Buoy popular with tech divers. 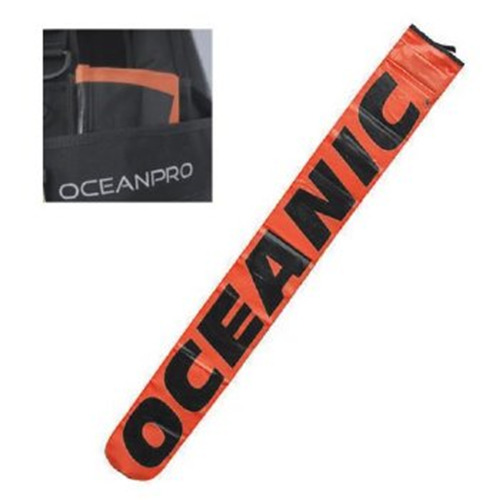 It’s safety feature is the non deflating valve system, fill it with external air source using an inflator hose or manually with your mouth and it will not dump out on the surface. Nylon used to resist tears and mildew. Over pressure relief valve with pull dump. Stainless D-ring for line attachment. 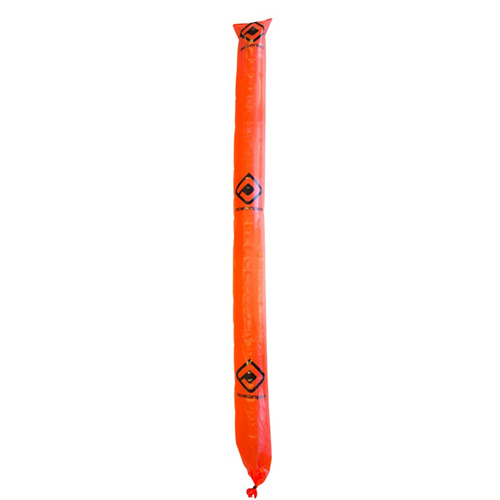 Bungy cord to hold in rolled up form for easy handling and allow for clipping to gear. Compact design can fit easily in most BCD pockets. 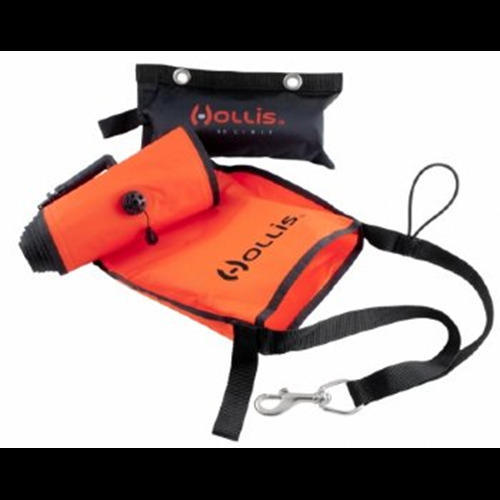 The Hollis Marker Buoy Closed Cell can be used as a small lift bag with 40lb lift capacity.